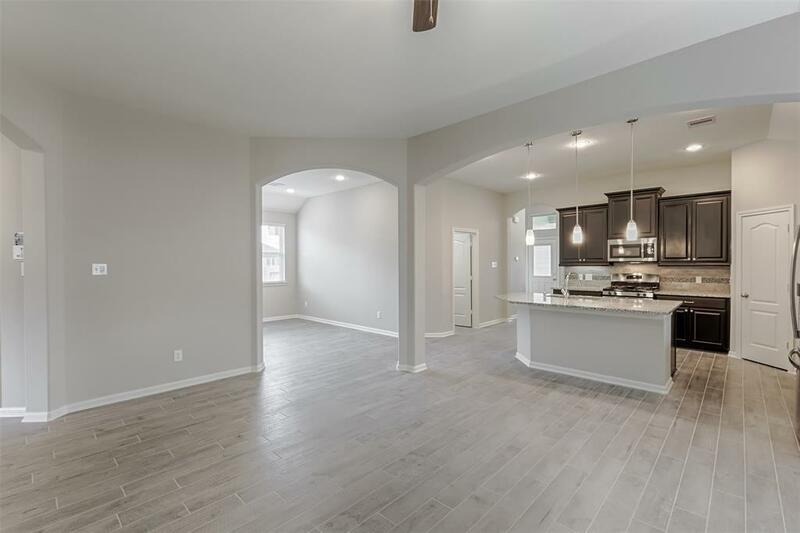 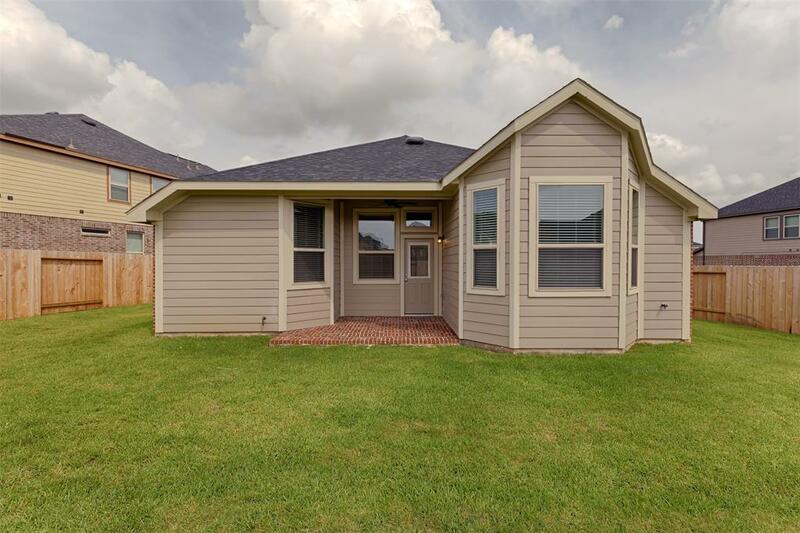 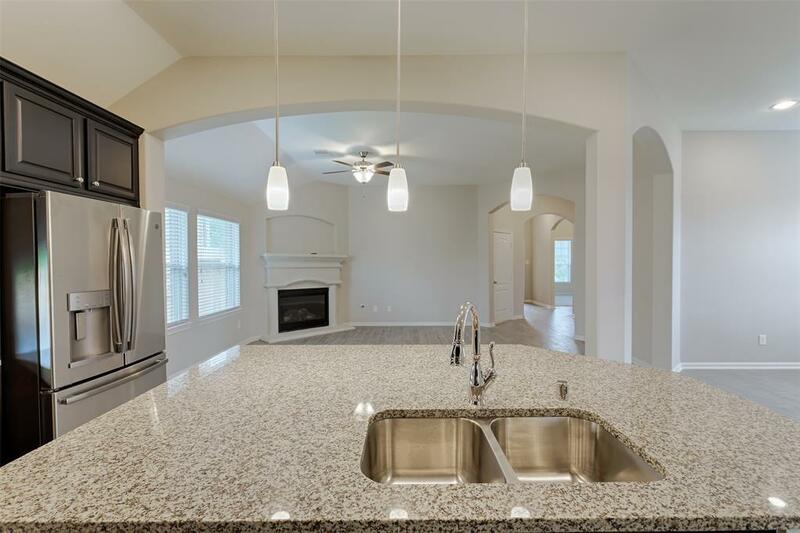 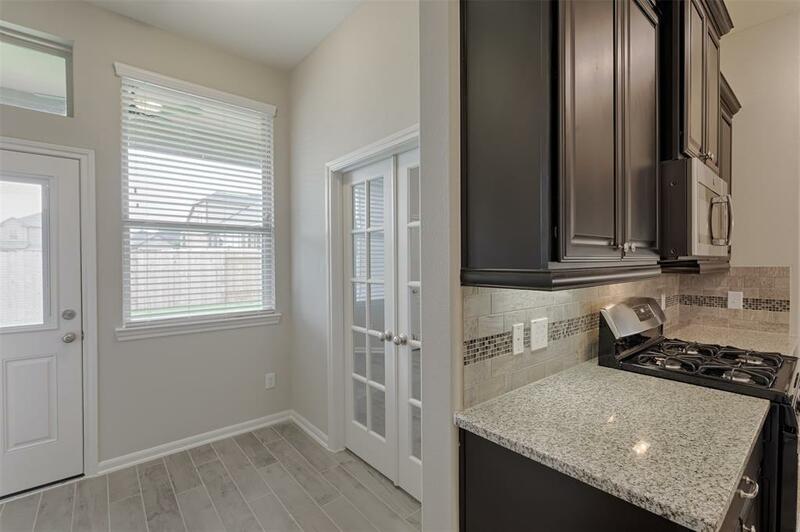 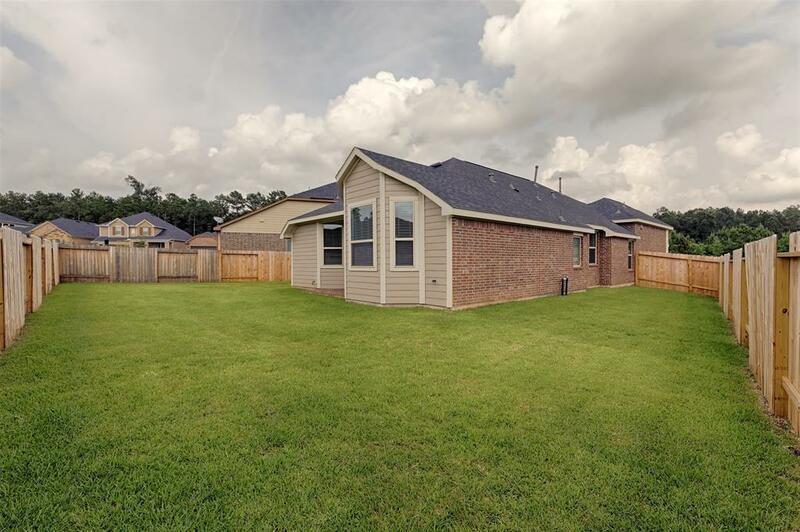 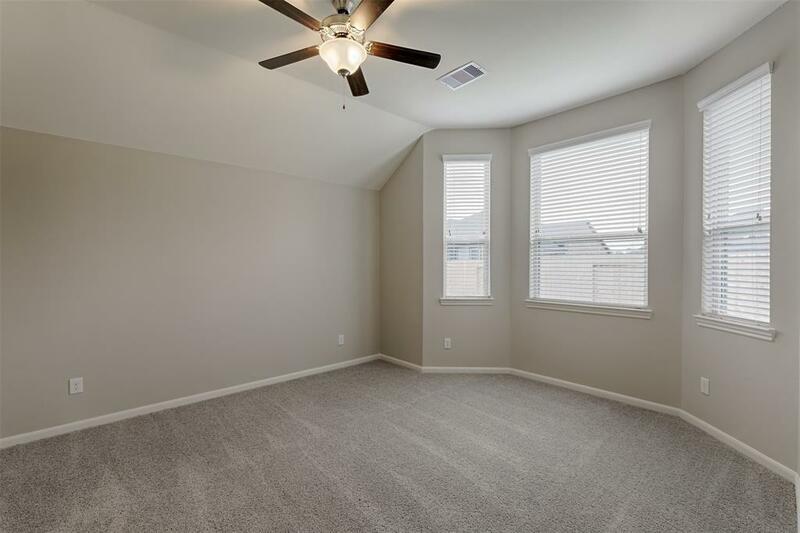 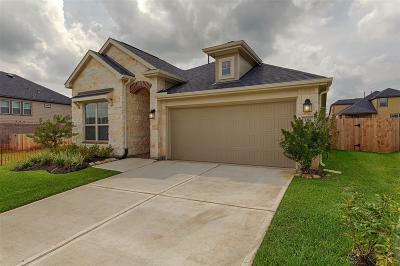 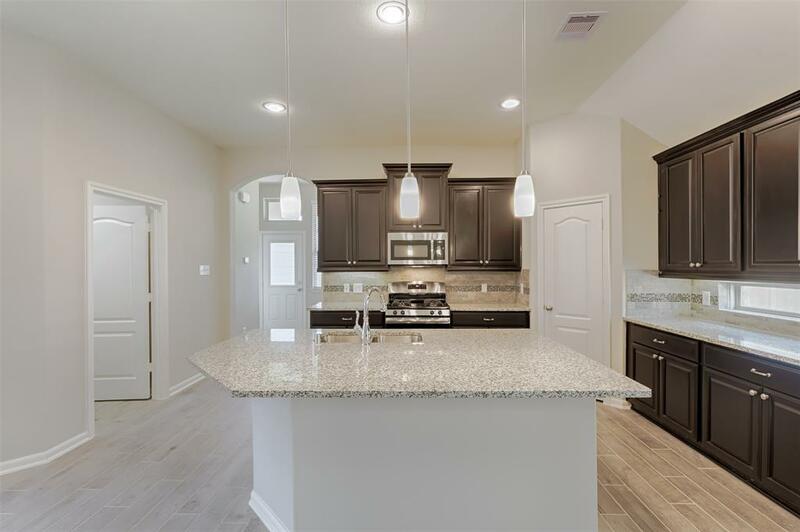 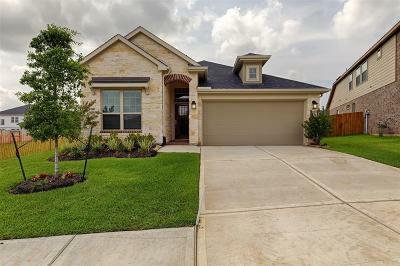 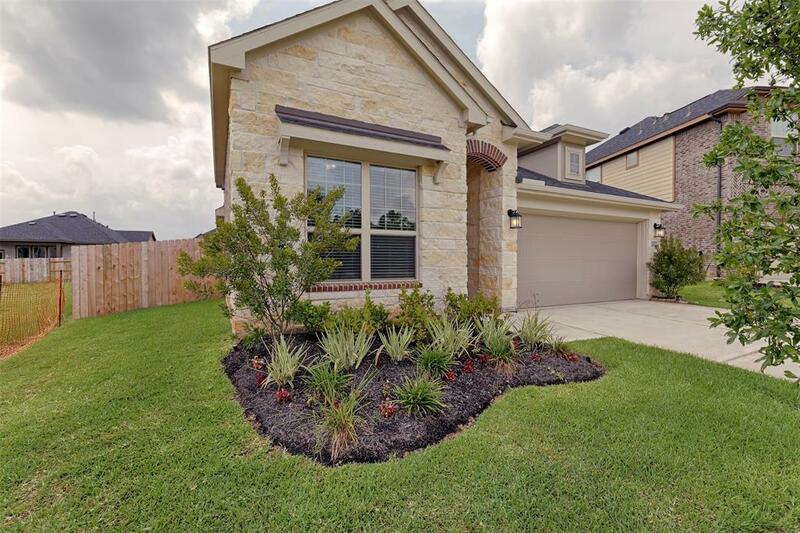 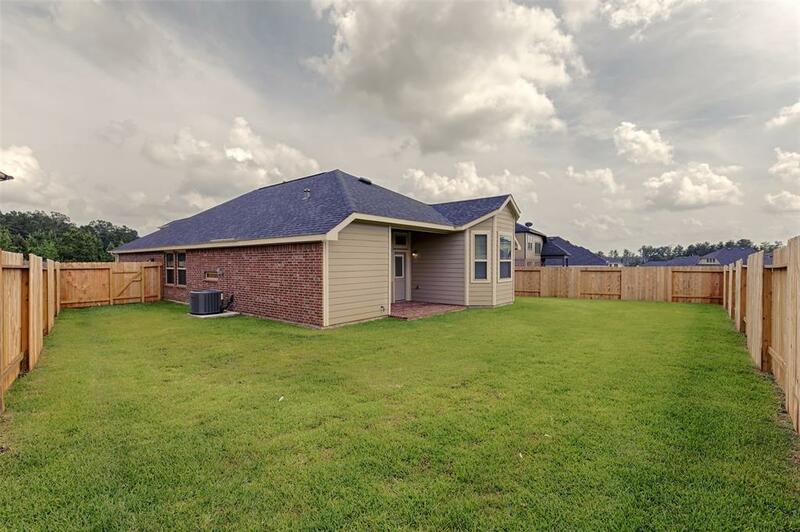 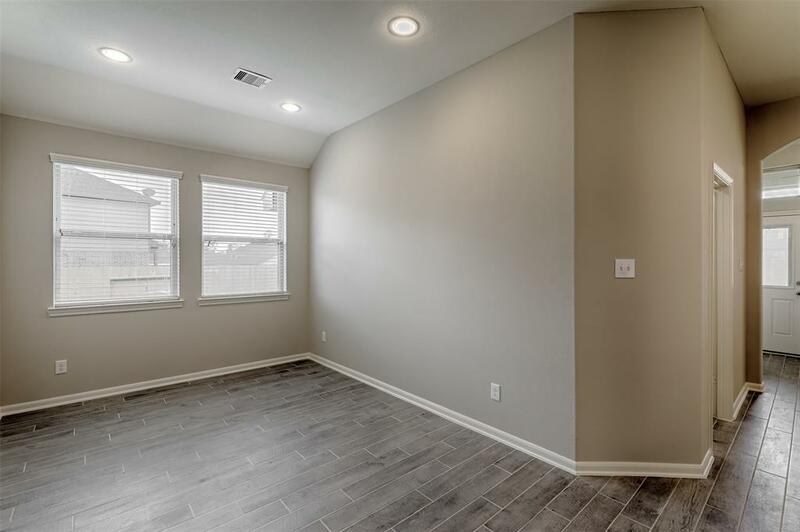 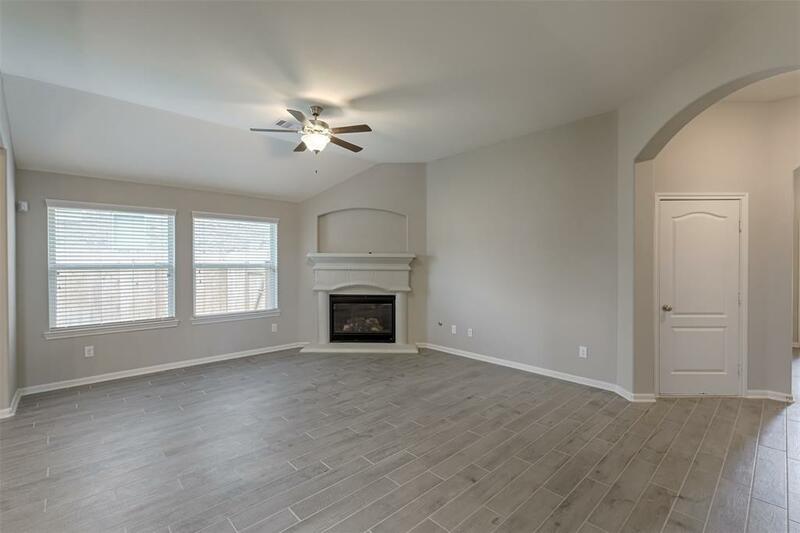 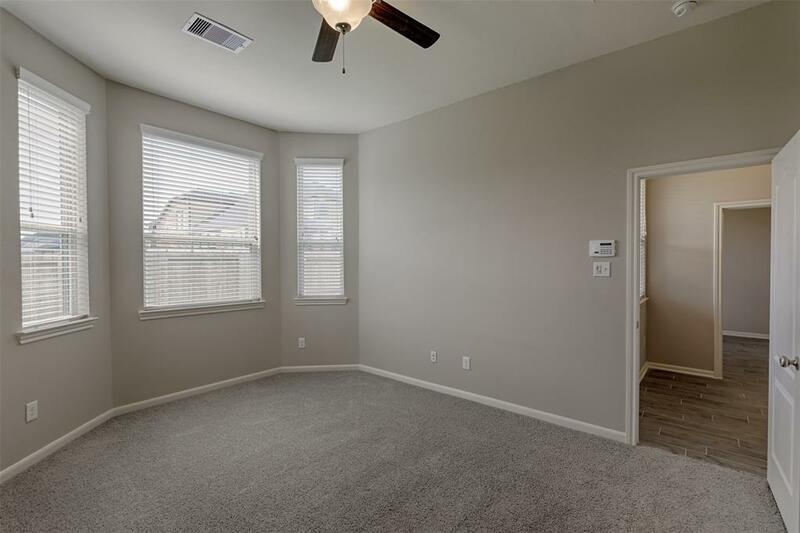 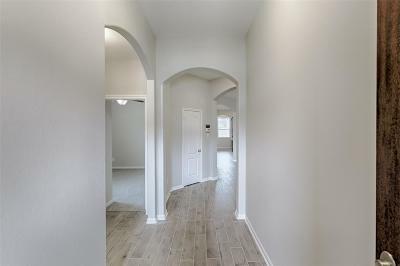 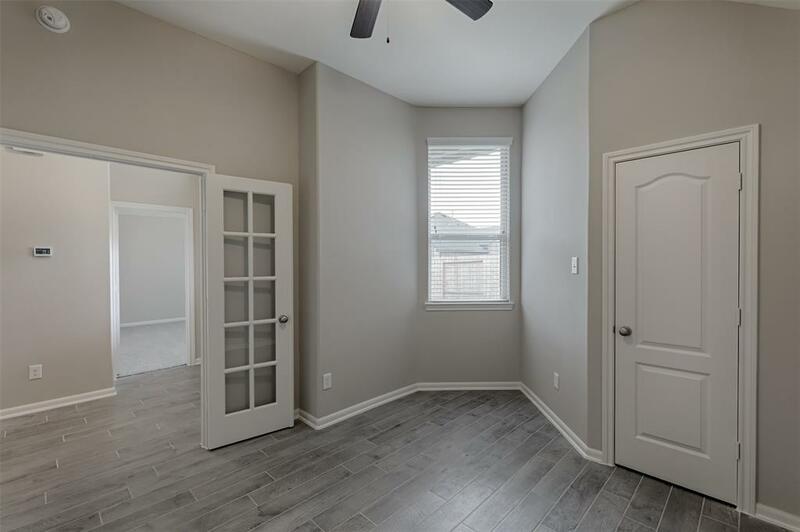 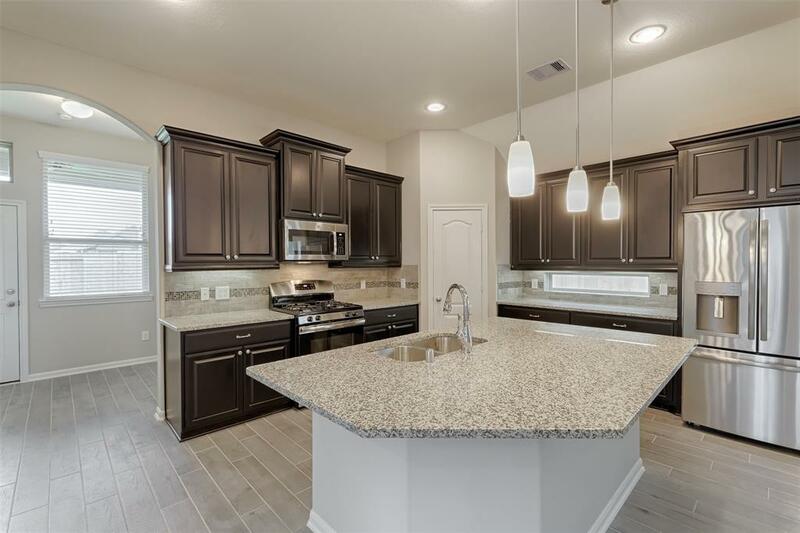 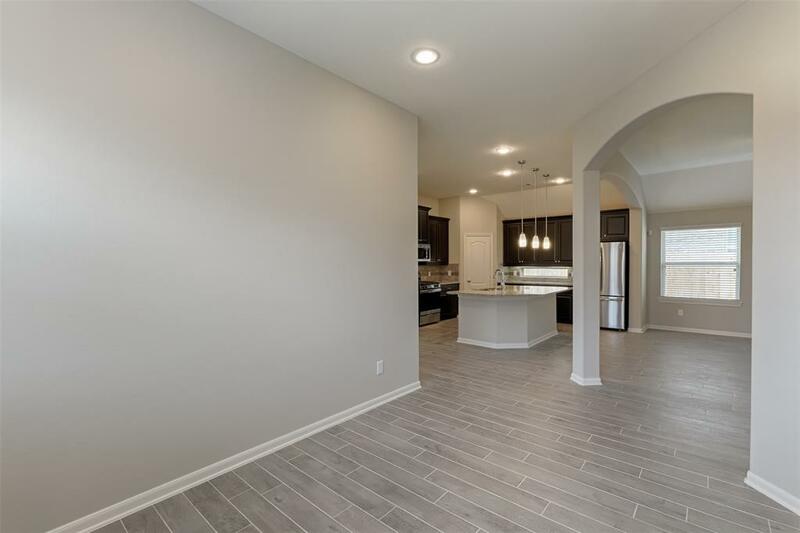 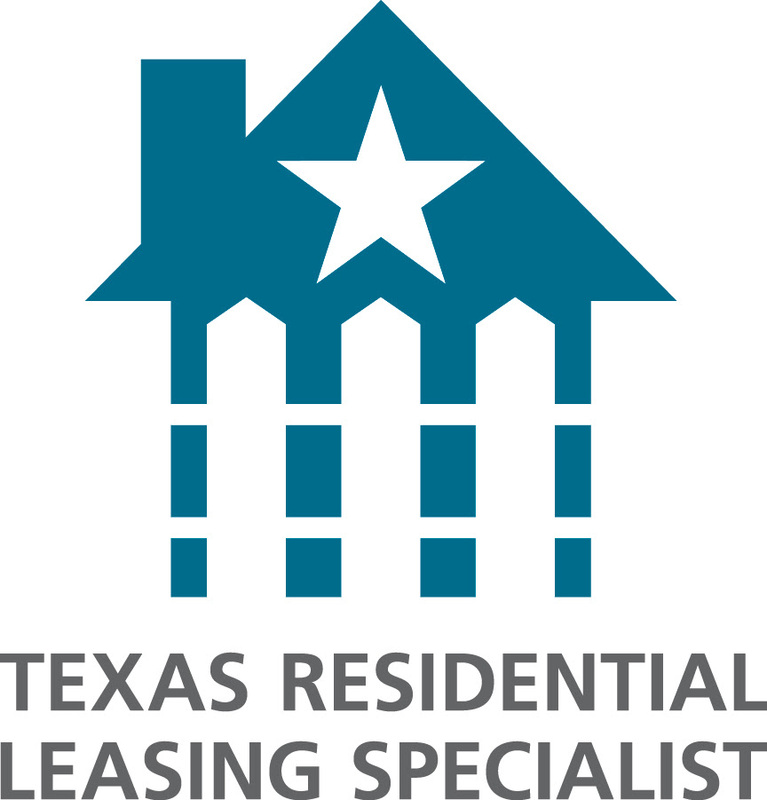 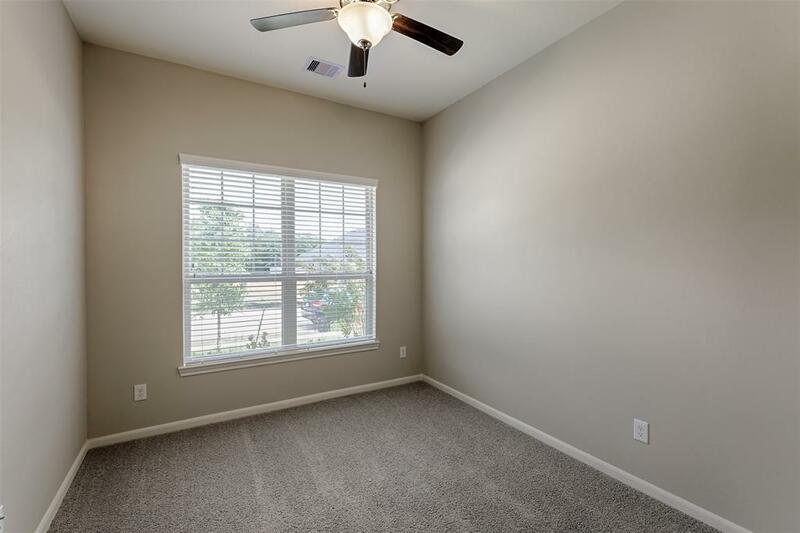 Single story, 4 bedrooms, 2 full baths, 2-car attached garage, and a covered patio! 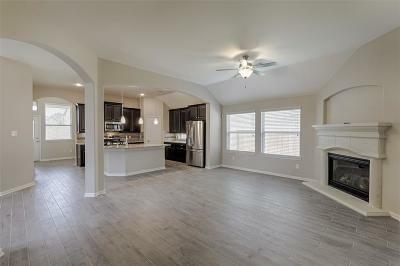 The spacious family room opens to the breakfast area and kitchen that features a granite island. 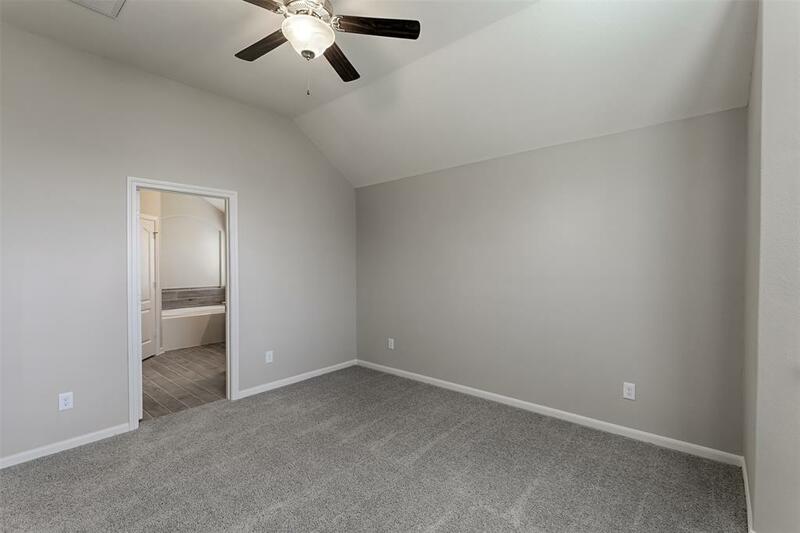 Master suite has a bayed window overlooking the backyard. 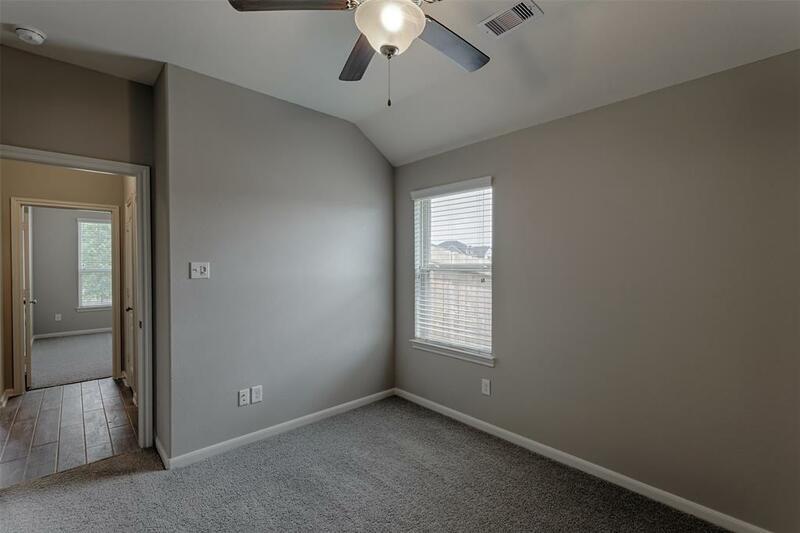 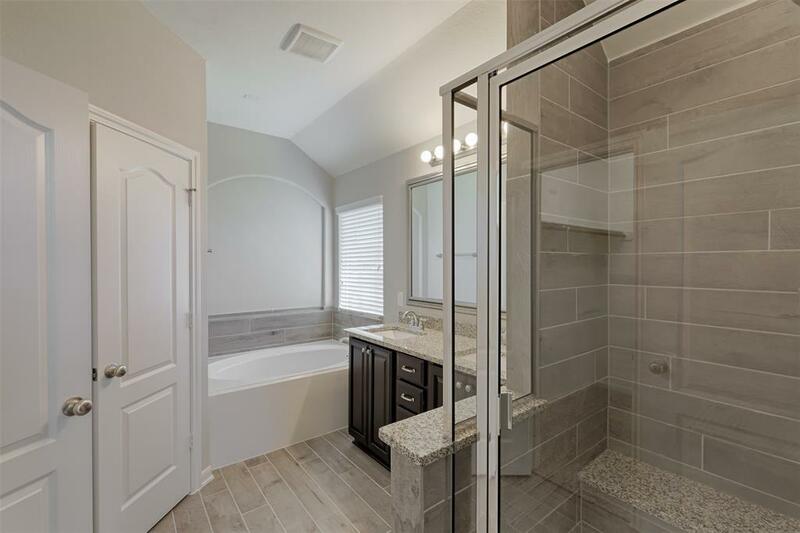 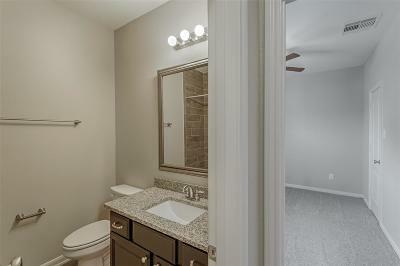 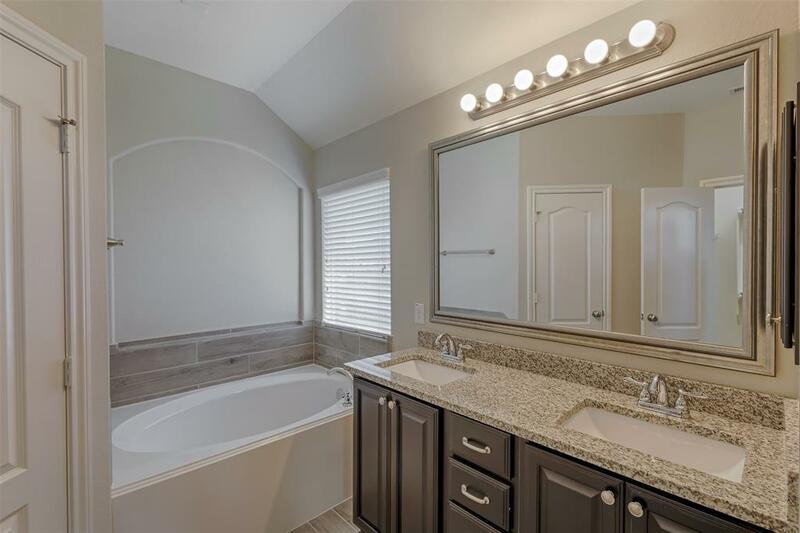 The master bath has a tub and a separate shower, double-bowl vanity, and of course, there's the spacious walk-in closet! 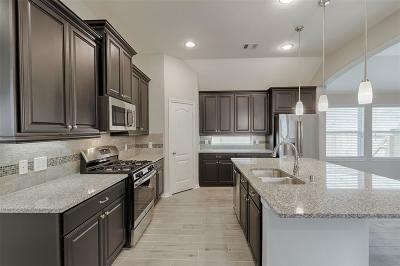 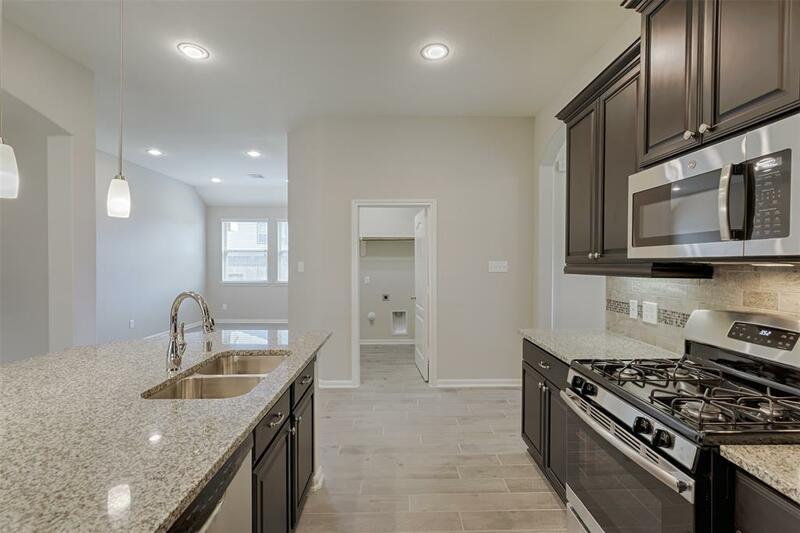 Upgrades include STAINLESS STEEL appliance package with a side-by-side refrigerator, framed mirrors in bathrooms, cabinets throughout the home, satin nickel cabinet hardware, granite countertops in baths and kitchen, pendant lighting in kitchen, fireplace with cast stone mantel, and front door with iron overlay. 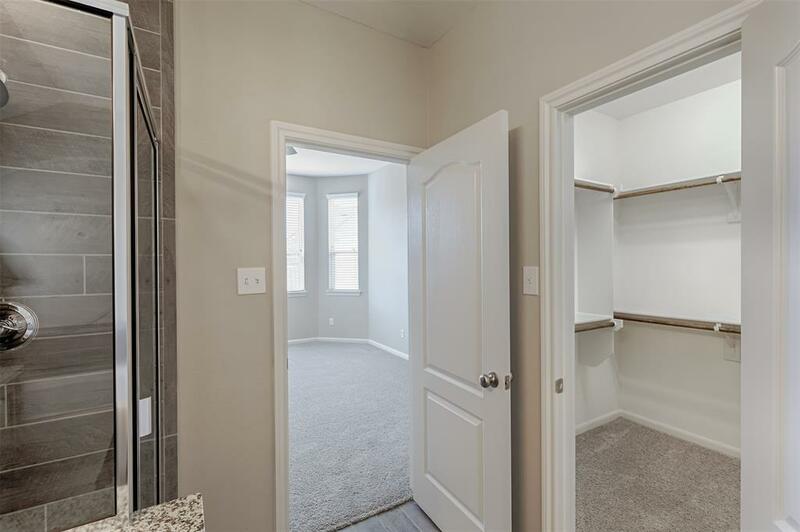 All in an over-sized cul-de-sac lot!